30 May - Film Screening of "Lemon Tree"
Salma Zidane lives in a tiny Palestinian village in the Occupied West Bank. She is 45 years old and a widow. When the Israeli Minister of Defense builds a house next door, Selma's lemon trees come to the attention of his bodyguards - her trees are deemed a "security risk". Lemon Tree is a moving personal story but also one that throws light on issues such as Israel's Apartheid Wall, its illegal Settlements and its flawed legal system. The movie will be followed by a brief presentation by a legal specialist who will provide his insights on some of the cases that have come before the Israeli Supreme Court, specifically those relating to the Israeli Wall. His presentation will tie in to the plot of the movie, specifically exploring the legal context within the storyline and whether Palestinians should even consider using Israeli courts, which in a way may legitimate the Israeli regime. Wednesday Sessions Feature: various, innovative and entertaining evenings including poetry readings, film screenings, live performances, exhibitions, discussions, (juicy) debates and more. Wednesday Sessions Aim To: question and highlight the role of art, artists in society and general members of society in assisting ordinary people to move beyond extraordinary circumstances. 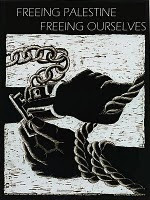 How did ordinary people in the international community assist South Africans to overcome apartheid? How can we now assist those Palestinians and progressive Israelis who are resisting Israeli Apartheid? 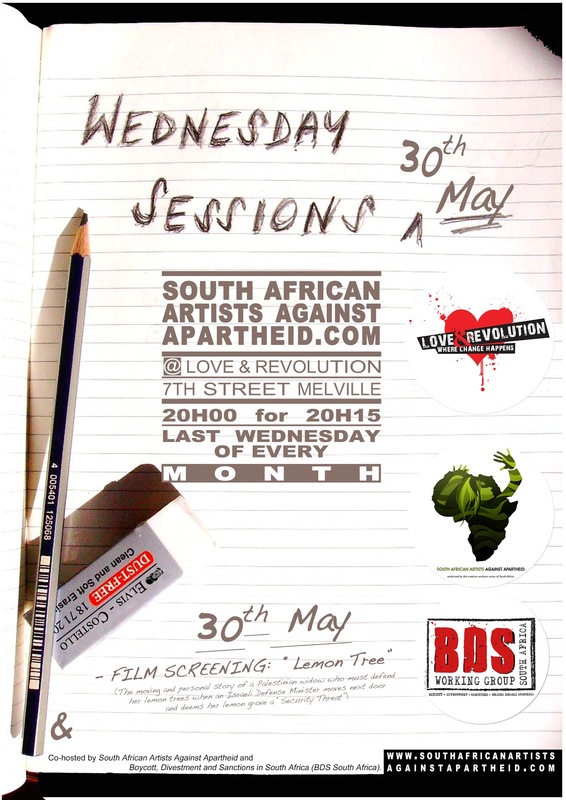 Come to Wednesday Sessions To Learn: about Art & Politics ... Art and Politics in South Africa... the Palestinian-Israeli issue ... Israeli Apartheid ... or how you too can join the cultural boycott of Israel.